This is where I confess that I took a photo a few days ago that I totally wanted to use for this week’s challenge. Which means I was going to manipulate the theme (whatever the theme may have been) to fit my photo. When I first read the word “careful” I groaned to myself. Careful brings to mind yield signs, closed roads, slippery slopes. Not autumn leaves. But, I kept reading and hit the part that said, “A photo taken with care…” A-ha! My loophole! This photo was taken with care. I knew that I wanted bokeh. 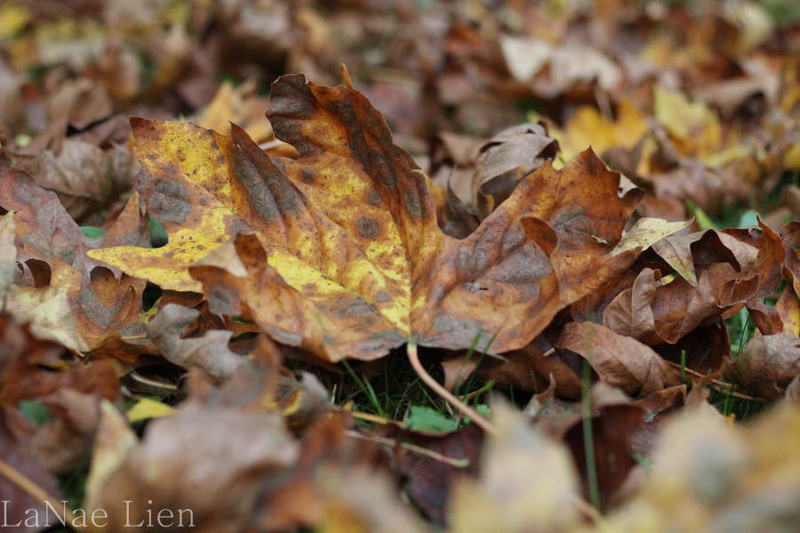 I knew I wanted one particular leaf to be the focus, but the entire photo to be filled with leaves. I knew I would pretty much have to get on my belly to get the shot I wanted. It took a few shots, a few adjustments, but I’m happy with the results. Not really wishing your life away?? And you have to be so careful with autumn leaves because they crumble so easily😀😀. I often do the same with theme manipulation so understand your groan completely. But somehow we always find a way, don’t we? !